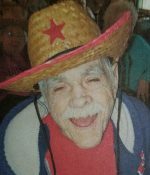 Remembering Albert Sauer | Remembering Albert Sauer | De Soto Obituary Search | Dietrich-Mothershead Funeral Home, Inc. Remembering Albert Sauer | De Soto Obituary Search | Dietrich-Mothershead Funeral Home, Inc.
Albert Thomas Sauer was born March 14, 1933 in St. Louis, MO. He was the son of Eugene Francis Sr. and Agnes (nee Theisman) Sauer. He passed on January 6, 2018 at Crystal Oaks Skilled Nursing Facility in Festus, MO at the age of 84 years. He is survived by nieces and nephews. He is preceded in death by his parents; one brother, Eugene F. Sauer, Jr. and one sister, Mary Viner.